"The Chapel Bar is a 240 capacity venue across two floors with a large ground floor Saloon bar and dance floor, covered smoking area, separate Terrace Bar and spacious heated, covered roof terrace. 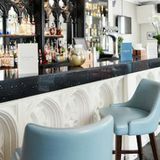 Each bar can be hired out separately or the whole lot together making for a flexible venue no matter the size of your party and the perfect space for all private events from birthdays to Christmas parties and more." By sending this booking your details will only be sent to The Chapel Bar and will never be shared with other third parties. By clicking this box you agree to the Terms and Conditions set out above. You can book to reserve an area of The Chapel Bar for you and your friends. Just enter your requirements below to see what they have to offer. What did you think of The Chapel Bar? The Chapel Bar is a a good place to eat and drink - spending the whole evening here is easy and the staff are pleasant which makes everything that much nicer. I would recommend The Chapel Bar for its good lagers and its good food. 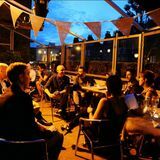 On a recent visit to The Chapel Bar in Islington with a group of fiends we had a most extra ordinary evening. We found the comfortable sofas to be a great plus point and the happy hour cocktails fantastic value. We had some food from the new Eastern styled menu which was absolutely fantastic. The staff was extremely helpful and very charming, especially the German guy who was very chatty. Overall I would like to thank the Chapel Bar for making a special evening an extra ordinary one which we will never forget. The Chapel Bar is clearly the best bar in Islington!!! We had our wedding party here and had an amazing night! Blair and the team Were superb couldn't have asked for more! The food was amazing and everyone had an excellent time, we danced until the lights went up at 3am!! Top Venue! Top Night! Top Team! I had my wedding reception here on 30th July 2010. The venue was amazing, the staff and Luke were fantastic, excellent service and the food was brilliant, we were too full to eat the buffet!! The Chapel Bar really made every effort to ensure that we had a great wedding. Very resonable price for such great food. The DJ they booked was also very good and was still playing at 3.30am when we left. Thank you to all the staff that day - you are stars!! We held my husband's 50th at the Chapel Bar and it was fantastic. We had about 100 people and it was perfect.There is plenty of room for everyone to stand around and it is great to have a dedicated dance floor which is situated at the far end of the bar which means people at the other end can still manage to chat. The food was delicious and everyone raved about it. The staff are amazing and nothing is too much trouble. If you are having a party you would have to work very hard to find a better venue than this. Solid establishment! Threw a charity fundraiser at this gem of a venue, with Luke and Blair helping us all the way in the planning and execution. Initial information provided was great, with Luke showing our event organisers around The Chapel and explaining what was on offer. What was particularly impressive was the care and time that was taken to explain the terms and conditions in the contract and clarify requirements to avoid any confusion from the outset. The night itself was very well planned and ran smoothly. Friendly bar staff, friendly security and an atmosphere helped us raise a decent amount of cash on the night. Thanks go to The Chapel for their professionalism. Just had my best friend's surprise 30th Birthday party at the Chapel Bar, and I wouldn't usually bother to write a review, but we had the best time and organising the party, even though it was a surprise, was made as easy as pie by the team there. I was quite shocked to see the odd bad review, but I had a highly positive and personal experience so that is what I will write about. The service from the manager was exemplary and he really made me feel like everything was under control. He arranged everything from cocktails on arrival to a great, fun dj, the food, and even helped me source a cake and a red carpet at very short notice. The late licence is great in London as so many places close at 12 or 1, and we wouldn't have been finished partying on the dance floor, which incidentally is nice and spacious. We felt like we had a club to ourselves for the night. The food was way beyond what I expected for a bar. Fabulous quality, very flavoursome and all served by waiting staff, which made the whole thing classy and grown up (before the dancing started!) Again the manager and his kitchen team were really helpful advising me what works well, how much to order etc. A big thanks to the Chapel Bar team, we had a great night and I am hoping someone will organise me a similarly fabulous 30th party! I cannot praise the Chapel Bar enough. We booked the upstairs bar for Sept 21st. Luke could not have been more helpful in the run-up to the party. On the night, the service was second to none. The bar staff were attentive and caring without being at all intrusive; the food was excellent. I would recommend the Chapel Bar without reservation. Actually quite surprised at the below reviews! Just had my graduation and 31st birthday party here on sat 22nd September and the service was brilliant! 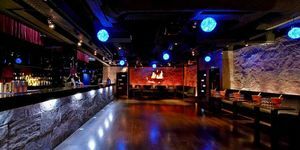 The management communicated with me for weeks before the booking and also met me at the venue on the day before handing over to the bar staff. The bar staff were young in age but provided an excellent service to my guests. Not one of my guests had issues. The security were even better, so polite and overall the venue was the best place I could of chosen. Reasonably priced bar, all drinks available, bar stocked nicely and some really nice cocktails. The music was great and overall I had a great night. To be honest the staff are what made it so memorable as there was nothing too big or small for them to do that I asked. Parking facilities were great and the venue inside is lovely. The dance-floor area was nice and the chill out bar area is amazingly decorated. Will defo use chapel bar again and would recommend it for birthday party's, weddings etc. Did not have food as it was not needed for my party but the menu they provided beforehand was excellent. May use venue for summer family wedding! Me and my friends was just passing by the bar where we saw some funky eastern European guy trying to flair so we went in to see free show, but how quickly things changed when he said manager don’t allow to flair behind bar! Shame on managers because boy have talent!! So we sit down and order 4 bartenders special cocktail! Must admit at the first cocktail was so funky I even cant imagine, all this spirits become blue and not usually blue its like toxic blue if i may say so and taste of it so great we had 4 more of those.. Rest of the cocktails was amazing as well but I think it’s too expensive for that area !! Over all great service, excellent cocktails, most amazing bartenders with most amazing skills and accent to die for!! Shame on management allow staff to express them self! The venue was fantastic, it was so nice having an indoor and outdoor area. The staff were really helpful and professional and it was very easy for me to organise as they did everything. The bar guarentee price was very reasonable and it was no problem to reach it during the evening. Thank you to everyone there. I would definitely recommend it for any event. OMG! What a night, celebrated a BIG 50th Birthday bash at The Chapel - had both floors, live band downstairs and casino upstairs! The canape style food was the best ever, slow roasted belly of pork to die for, all the guests were raving, it was plentiful too. The venue decorated the bar and the casino to my specifications and I was not disappointed, living statues at the entrance, red carpet, twinkling lights, candles and balloons made for a very special evening. The band were superb and catered for our musical taste's lot's of Motown and soul, then their resident DJ Patrick started at 11.30pm and everyone danced their feet off until 2.45pm when we finally dragged ourselves off home, very drunk, very happy! Great service, great food, great party - Thanks Alex and his team, it will certainly be a night to remember. Fantastic venue, really helpful staff and great music policy! I recently hired out the top floor and terrace for a joint 30th birthday and it was a night to remember. The staff were very chilled but were always on hand to help with whatever we needed. I can't recommend this place highly enough. We had a Sunday afternoon BBQ with about 45 people in attendance and it was a roaring success. The food was fantastic, the terrace bar upstairs was perfect for a summer gathering (with shades that could have been deployed should the weather have been inclement) and the service was great. We were really well looked after and shall have very happy memories of a great day. Just wanted to send a quick note to thank you and the team for a fantastic night on Saturday. The staff (Don and Luke in particular) were really great and made my night fret free. The food was amazing Alex - everyone said so (though I didn't get to eat much). Once again Alex thanks so much for a night to remember - I really do appreciate all the effort you went to. Could not agree more! 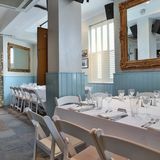 Best party place- so accommodating and the most wonderful food I have ever had in private hire place- love love love the cocktails and atmosphere- staff do a good job of making it a cool night too! Most amazing venue! had a brilliant night with fantastic canapes and friendly service. So great to find somewhere that you can celebrate your birthday the way you want and until 3am! Will definatley be booking more of my parties with them! The Chapel bar has had some great nights in there. Chapel Bar is the beeznees!! I like to attend 'electrafucnk which is on sunday mornin through till sunday evening. Its got a good vibe, the Dj's are wicked they're packing enuff vibrant trax to carry you on right through till the end of the evening. When its over they leave you wanting more. I really don't understand this place, is it a private venue or a club or a pub or what? One day you go in there and theres a load of messheads from Kings X in there on an all-dayer, the next week its a wedding party... Anyway, a pretty vibeless place, with open decks mid week, so expect to be blasted by talentless oiks trying to mix techno at 7pm, and then a strange weekend promotions line-up of mostly afro-caribbean / funky house nights it seems. Its saving grace is the terrace really, but getting access to that is a constant mission. The website photos make it look like an oasis in the Islington desert, but do not be deceived, Photoshop is a wonderful thing. We had our office Christmas party at The Chapel Bar in December 2005 and it was outstanding! The food was absolutely excellent, the service was top and the effort put into making our evening special by the staff was brilliant. Everyone thoroughly enjoyed the evening. The Chapel Bar is a venue that we will definitely choose again for another special event. What an excellent venue! I have visited The Chapel Bar on 6 occasions now and it has never failed to please. I has to be one of the best spots to enjoy the best in jazz, funk and soul. Check out Sundays live music at The Chapel Bar. It's a great place to see new up-and-coming talented performers. Pleasant comfortable decor and funishings, really great atmosphere, good food, nice people. 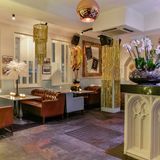 The Chapel Bar is a brilliant venue, I recently attended a private function for a birthday event here organised through Phantom Events, the music was brilliant the place was packed and fluid with excellent progressive tracks!! The space inside The Chapel Bar is excellent and pleasant with lots of seating areas. A very enjoyable night! 8 destinations curated by WP L.